Lay out a large sheet of waxed paper and spray with cooking spray. Make sure to do this before starting to cook the pralines. Combine the sugars, milk, butter and vanilla extract in a large pot, at least 4 quarts, over medium-high heat. When it comes to a boil, stir constantly for 3 minutes while the mixture is bubbling. In the last 20 seconds, stir in peanut butter. 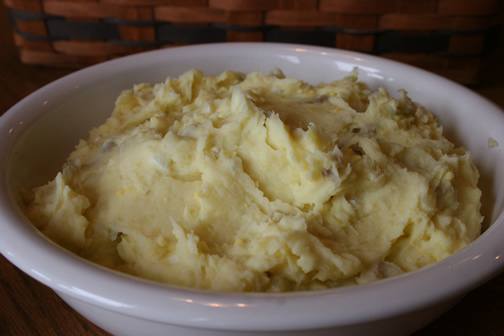 Remove from heat and stir constantly until the mixture thickens and becomes creamy and cloudy. 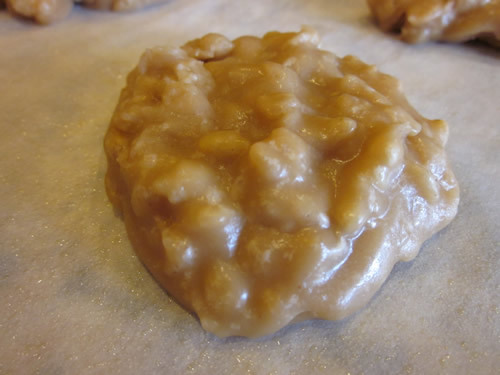 Stir in Rice Krispies, then spoon out onto the greased waxed paper. I make these and freeze them to use for quick breakfasts on school days. Whisk the eggs in a large bowl, and then scramble in a large nonstick skillet sprayed with no-stick spray. Once the eggs are starting to set, mix in the cooked sausage. Cook until eggs are done. Put a scoop of egg mixture in the center of a tortilla and roll burrito-style. 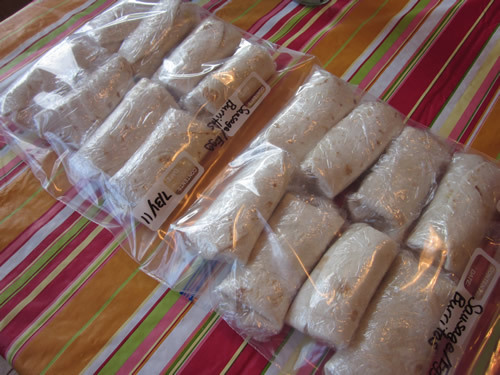 Wrap in plastic wrap and put wrapped burritos in a freezer bag if freezing for later use. To reheat, remove plastic wrap in heat in microwave 2 minutes or until warmed through. One of my favorite things about summertime is peach season. I love going to the local orchard and getting a box of peaches. My sweet husband knows how much I hate peach fuzz (it makes my teeth tingle! ), and always peels them for me. I love to chow down on a bowl of freshly cut peaches, and even better is to pair them with vanilla ice cream. Yum! One of the local tea rooms is famous for its peach tea. I figured I needed to give it a try, so I went with a friend last week to check it out. It was wonderful! It just screamed summer. (I bet you didn't know tea could scream.) I thought I would try to replicate their recipe, and this recipe comes pretty close. 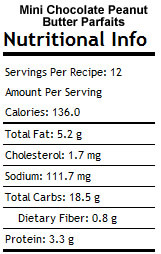 I'm pretty sure they use straight up sugar and lots of it in their tea, but I substituted Splenda to make it low calorie. It's a nice, refreshing treat on these 100 degree days. 1. Place washed and sliced peaches (skins left on) in a large saucepan with four cups of water. Bring to a boil. Reduce heat to simmer and cook for one hour. 2. Turn off heat and allow fruit mixture to rest for about an hour. 3. Set a sieve lined with a coffee filter over a collecting container. Pour the cooled fruit mixture through the sieve. This should yield around 4 cups of liquid. 4. 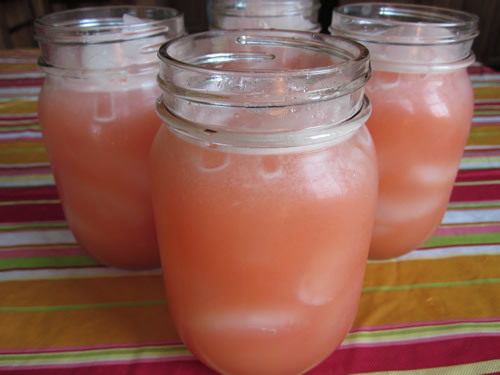 Add 1 cup Splenda to the flavored water and mix until dissolved. Set aside. 5. Boil 1 quart of water in a tea kettle. Put the tea bags in a gallon-sized pitcher, and pour the boiling water over the bags. Let the tea steep for about 10 minutes. Remove the tea bags. 5. Add the sweetened peach-flavored water to the tea. Add 1 more quart of water to make one gallon. Mix well and refrigerate to cool. 6. Serve over ice. 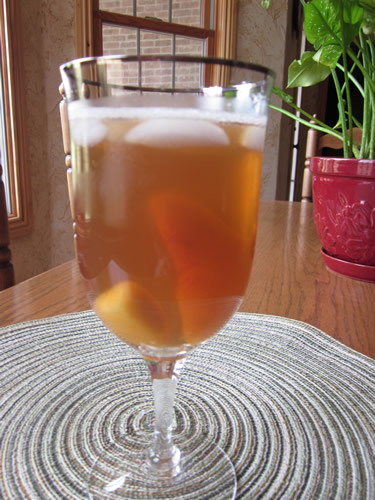 I like to add a couple of frozen peaches to the glass as well. One the most popular restaurants in our town is Lambert's Cafe. 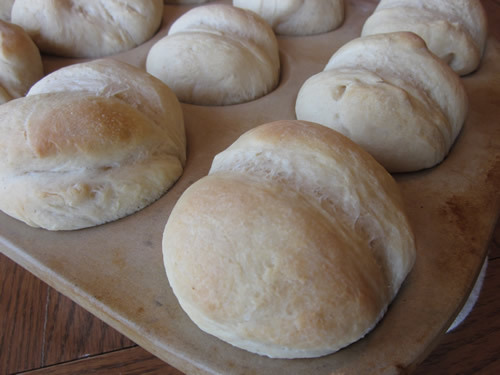 They are famous for their "throwed rolls". Yes, this is a restaurant where they actually throw the rolls at you! There is always a huge line to get into the restaurant, and they feed you huge portions of food. 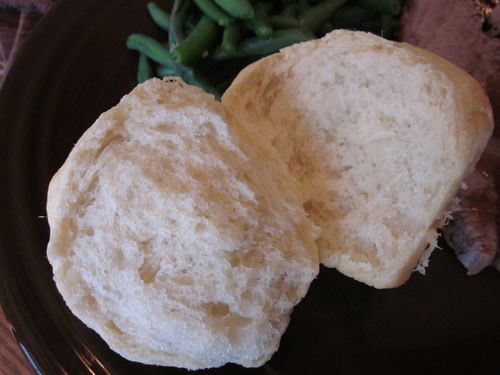 I saw a recipe for Just Like Lambert's Throwed Rolls and had to give them a try. Though not exactly like the ones at the restaurant, they were pretty close, and they definitely tasted great. :) If you want to really be like Lambert's, you'll toss them to your family when you serve them and top the rolls with sorghum molasses. 1. In a small bowl, combine the teaspoon of sugar and the yeast with the warm water and allow to foam (5-10 minutes). 2. In a large mixing bowl, mix the warm milk, melted butter, sugar, egg and salt. Add the yeast mixture and stir. 3. Stir in 3 cups of flour. Stir or knead in another cup of flour (or more, if needed) and knead for 5-10 minutes to make a smooth, elastic dough. 4. Scrape the large mixing bowl clean (or as clean as possible) and place dough in the bowl. Grease the top of the dough with butter or oil and cover with a clean cloth. Place in a warm location (you can turn the oven on for 1-2 minutes, then turn OFF and place covered bowl in the warm oven to rise) and let rise until doubled in size, about 60-90 minutes. 5. Liberally butter a 12-cup muffin pan (I use no-stick spray). With greased hands, deflate the dough and divide into 24 pieces. Roll each piece into a ball. Place two balls in each muffin cup. Gently grease the tops and cover with a clean towel. This is a very easy way to make a brisket, and it is perfect for summer cooking when you don't want to turn on the oven. :) The burgundy sauce is wonderful, so be sure to put some on top of your beef. 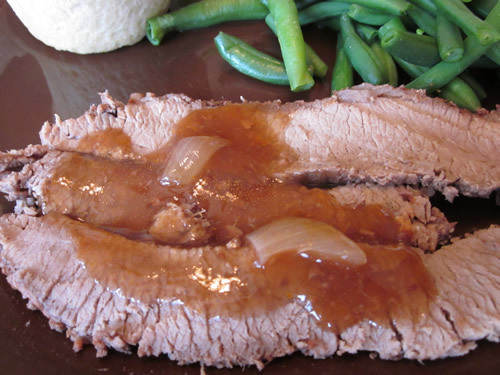 Place the brisket in the crock pot and top with the sliced onion. Combine the wine and tomato sauce and pour over the meat and onions. and 1 large onion, sliced in rings. Cook on low for 8 hours or high for 5. Remove meat from crock pot and let it rest before slicing in thin slices against the grain. Pour the liquid into a large saucepan, turn the heat on high, and whisk in 2 T of cornstarch to thicken the sauce. Serve sliced beef with the sauce. This is going to be a short post this week. I'm in St. Louis for three days for an Intel train-the-trainer workshop, so my menu is pretty simple. I have a lasagna for my husband to eat while I'm gone, and then I've got some pretty simple meals planned for me and Corey when I get back. 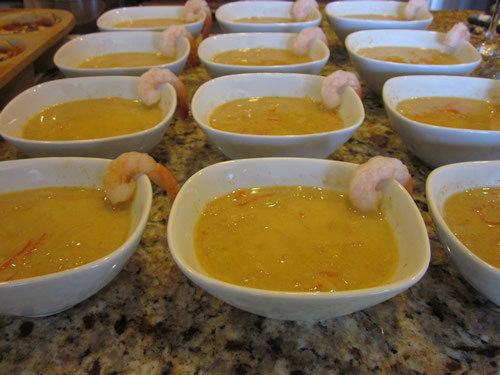 I do have some new recipes I will need to post, so look for them later in the week. 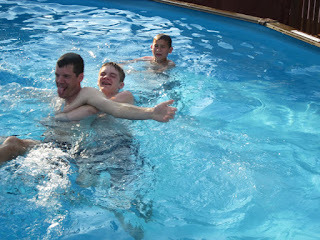 It is HOT in southwest Missouri! It has been over 100 degrees the last two days, and it looks like that's what we will have to deal with all week. These temperatures make it very hard to stay motivated to cook, exercise, etc. But, I've been hanging in there. :) My son has cross country practice early every morning, so I've been getting up and running as well. If you can beat the sun up, it's actually tolerable outside (for example, it was 80 degrees at 5:30 a.m. today). Running at night isn't an option. Last night it was 98 degrees at 10:00. Yuck! This week I'm back to work. Yes, I know everyone thinks teachers have the summer off, but that is a huge fallacy. My only day off this week is Friday, which is perfect because that's when the last Harry Potter movie comes out. :) You know what this library lady will be doing on her day off. My menu this week is another week of cleaning out the freezer. This will use up the last of my "stash" so I can start restocking next week. You'll notice a lot of chicken recipes this week. Bet you can guess what I have left in the freezer. 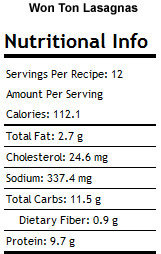 :) I have three new recipes this week, so be sure to check back later for nutrition info and pictures. Dice green onions and set aside. Finely chop 1 T of the green onions and place in a bowl with the sausage, sesame oil, soy sauce, egg, salt, and pepper. Mix the filling well. Spoon 1 T filling into center of wrap. Lightly moisten the edges of wrap with water. Fold in half; brush edges with water; press to seal. Bring corners together and overlap corner. Brush with water and press to seal. Bring broth to boil in large saucepan over medium heat. Drop won tons into the broth; cook for 3 to 5 minutes, until they float to surface. Reduce heat to simmer and stir in the shrimp and bok choy. Simmer 2 minutes; until the shrimp turn pink. Put chicken in a gallon-sized freezer bag (I divide mine in two bags with four chicken breasts per bag). Whisk together the remaining ingredients in a mixing bowl, and pour over chicken in the bag (divide evenly if splitting into two bags). Seal and freeze. 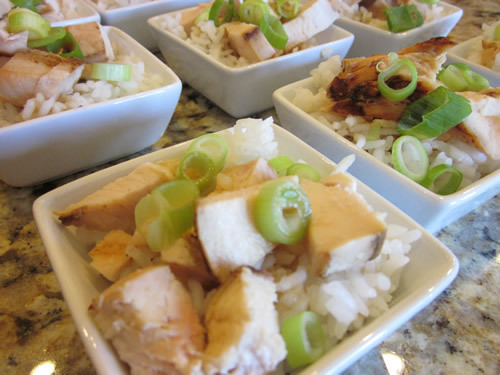 On serving day, thaw chicken and discard marinade. Grill over medium heat until chicken is tender and juices run clear. Mix the shredded chicken and the pasta sauce in a small bowl. 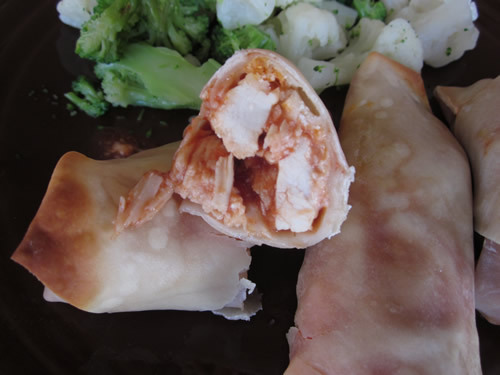 Preheat the oven to 400 degrees F. Lay the egg roll wrappers on a clean work surface. Layer each with a few leaves of spinach, then chicken, followed by mozzarella and parmesan. Lightly brush two adjacent sides of the wrapper with water and fold the upper left corner downward, covering the filling, and press to seal on the bottom right corner. Press to seal each of the sides. Repeat with remaining wraps. 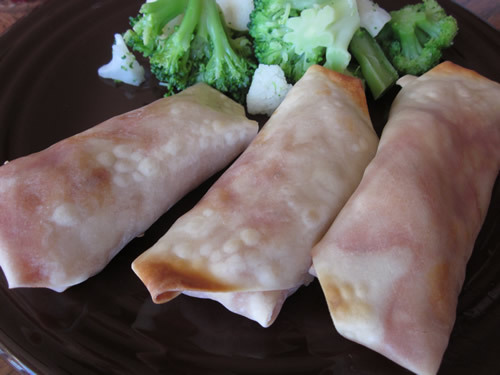 Place all 6 filled wraps on a greased wire rack set over a cookie sheet, spray each roll with olive oil spray, and bake for about 12 minutes, or until the edges begin to turn a golden brown. 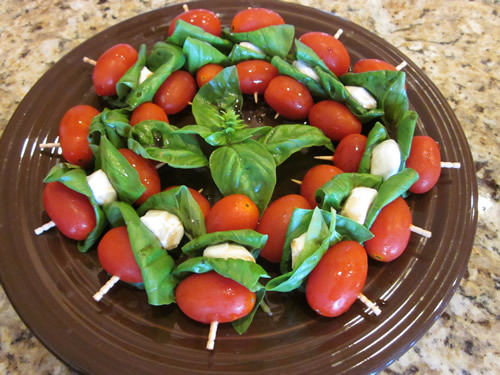 Serve with warmed pasta sauce for dipping. It's funny how the shape of food can make it appetizing or not. If you ask if I want meat "loaf" for dinner, I will almost always tell you no. But if you ask if I want meat "balls", that changes everything. And how silly is that? They both basically have the same ingredients. 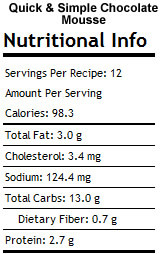 :) Well, these cheese-stuffed meatballs are wonderful. 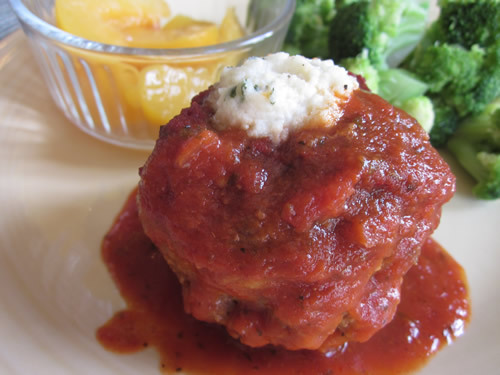 The gooey cheese and yummy sauce make these a wonderful alternative to the dreaded meatloaf. In a large mixing bowl, combine the ground beef, bread crumbs, milk, egg, 1/4 cup Parmesan topping, garlic powder, and oregano. Divide the meat into 4 equal portions and roll into 4 large meatballs. Spray a glass baking dish with no stick spray. Place the meatballs in the pan. Pour pasta sauce over the meatballs and bake 45 minutes. 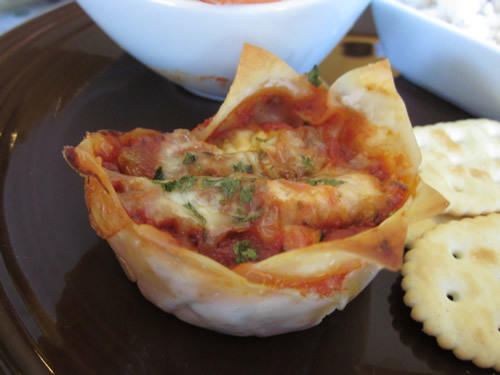 While the meatballs are baking, make the filling. 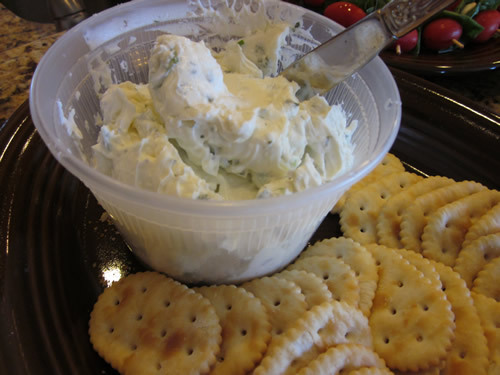 Mix the ricotta cheese, 1/4 cup Parmesan, pepper and parsley together in a mixing bowl. Set aside. When meatballs are done baking, remove from oven. Remove the meatballs from the pan, transfer to a cutting board and let sit for about 5 minutes. Using an apple corer or small paring knife, cut a 1/2 inch hole in the bottom of each meatball. Place filling in a large zip top bag and cut off a bottom corner to make a "pastry bag". Fill each hole with the cheese mixture. Return the meatballs to the baking dish and cook an additional 10 minutes or until cheese is heated through. Serve with sauce. On a happier note, my book club luncheon last week was great. Be sure to check out the pictures and recipes. This week my menu is based on cleaning out my freezer. I'm getting ready to do my annual summer freezer stock up, and I needed to get rid of a few items still left from previous stock-up sessions. I'll be posting more about my freezer prep for my fellow school teachers who might want to do a similar activity before school starts. It's such a time saver for me later in the year. I do have a couple of new recipes on tap for this week, so check back later for the pictures and details. Last Thursday I hosted 11 teachers for my first summer Mark Twain Award Book Club luncheon. Each summer I invite my 3rd and 4th grade teachers to read all 12 of the nominated books for the coming year, and we get together twice over the summer to discuss the books. 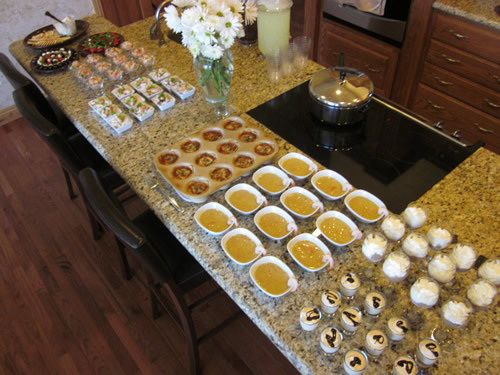 My theme for this luncheon was "Mini Munchies". I have some very cute mini dishes I got a Pier 1, and it was fun to make several different recipes for my friends to try. I decorated with some pretty white flowers and lots of candles, and I even folded the napkins to look like a white rose. :) Here is a photo slide show of the event. These fun little appetizers are a different take on Sushi. 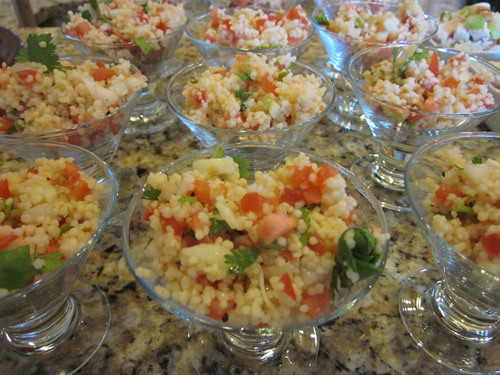 Serve them in little mini bowls for individual portions. 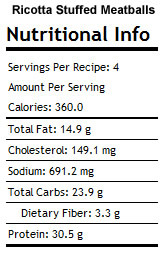 Prepare the rice as directed on the package but add the sugar to the water before adding the rice. Cook until all water is absorbed. Let stand for 15 minutes until cool. Drizzle the cubed, cooked chicken with teriyaki sauce. In the small mini bowls, place a heaping spoonful of rice in the bowl. Make a small divot in the cneter. Fill the center with a couple of pieces of chicken. 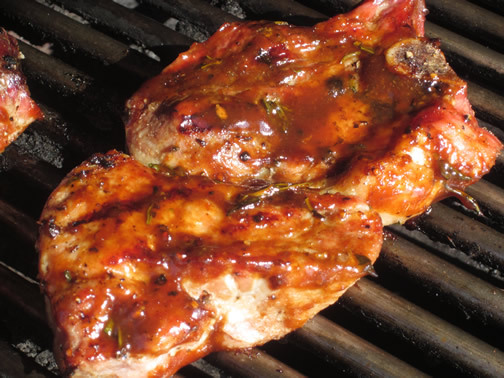 Drizzle a little teriyaki sauce. Sprinkle with a few pieces of chopped green onion. I've been enjoying different twists on BLTs this summer. I had some extra French bread and some extra chipotle chiles I needed to use up, so this was the perfect way to use those extra ingredients. My boys really liked these mildly spicy sandwiches. Place French bread slices on a baking sheet sprayed with olive oil spray. Spray the top of the bread slices with olive oil. Sprinkle each slice with chili powder and cumin. In a blender, mix the mayonnaise, salsa and chipotle pepper until well combined. Spread the sauce on top of each of the bread slices. Cut the cheese slices in half, and place half a slice on each piece of bread. Toast in the oven about 5 minutes or until the cheese is melted. While the bread is in the oven, place the bacon slices in a glass baking dish lined with paper towels, and microwave 3-4 minutes or until bacon is cooked to desired doneness. Cut the slices in halves. 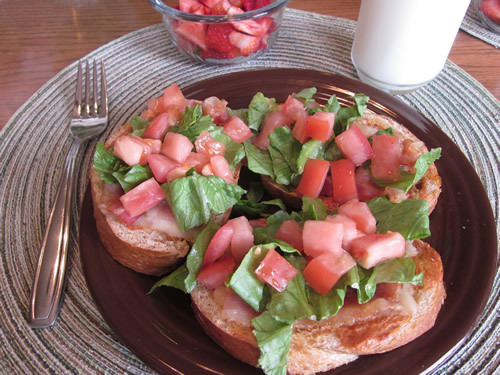 Remove bread from oven and top each slice with two bacon halves, chopped lettuce, and chopped tomatoes. 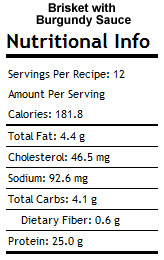 Makes 5 servings of two slices each. 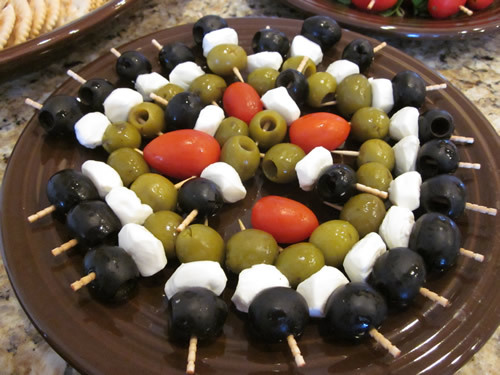 This is a great spread to prepare when you don't have a lot of time, but you need to serve an appetizer. 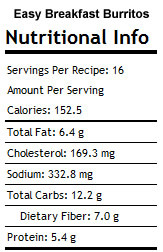 Serve it on crackers or cocktail bread. Mix all ingredients together until well-combined. Serve on crackers. 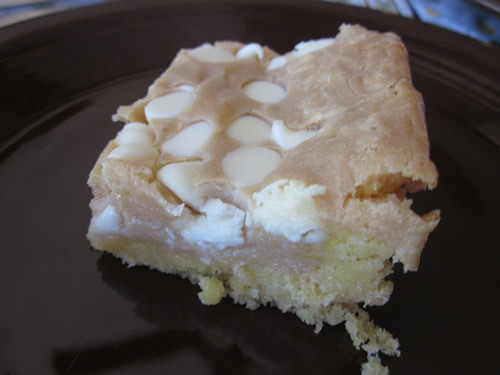 Sinfully sweet and gooey, these bars will have your family begging for more. 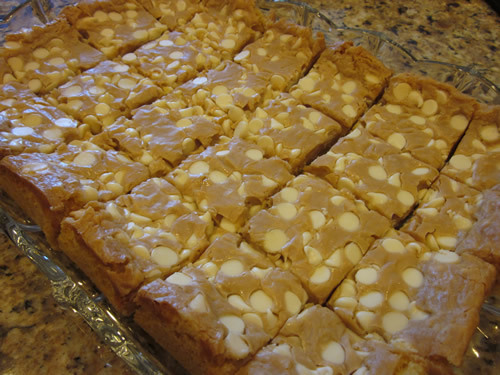 The gooey peanut butter topping makes these fabulous. If white chocolate is not your thing, then go for regular chocolate. I promise you'll still love them. 1. Place cake mix, egg, and butter into a large bowl. Mix until well combined, will be the consistency of thick cookie dough. (I used my mixer.) Press dough into prepared baking pan. 2. Place peanut butter, marshmallow creme and condensed milk into a large bowl and mix until well combined. Pour over crust then top with white chips. Bake for 23-25 minutes (I cooked mine 30 minutes), until cooked through. Center will seem somewhat jiggly, but will set up while cools. I love finding new uses for won ton wrappers. These personal-sized lasagnas were just the right thing for my "Mini Munchies" themed book club luncheon. I assembled them the night before and just covered the pan and put it in the refrigerator until it was time to cook them. Preheat oven to 375ºF. Heat a large skillet over medium heat. Brown the ground beef and sausage. Drain off any fat. Add the pasta sauce to the pan. Bring the sauce to a gentle boil. Reduce the heat to low and simmer for 10 minutes. Remove from heat and set aside. In a large bowl, combine the ricotta, the teaspoon of oregano, and the basil. Stir to mix well. Set aside. Using half of the ricotta mixture, divide it among the 12 muffin cups (I used a small cookie scoop). Next, spoon about 1 T meat sauce evenly over each of the ricotta filled cups. Sprinkle with half of the mozzarella. 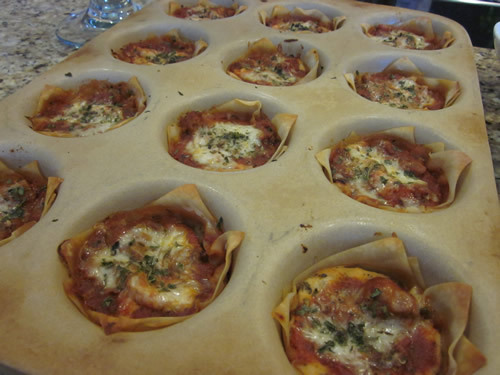 Bake for 10-20 minutes, or until the cheese has melted and won tons are light brown. Let the cups cool, remove them from the pan, and serve. 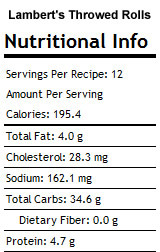 Note: Nutrition information accounts for only using 1/2 of the amount of sauce in the recipe. 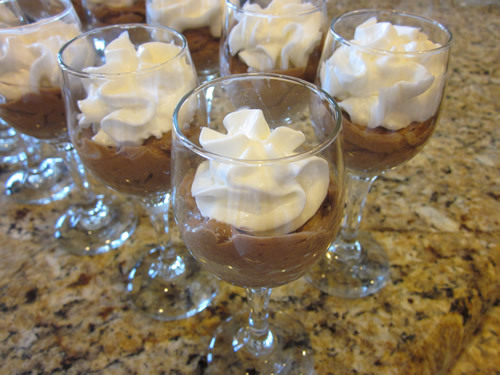 This is a "quick and simple" mousse that's great for serving in mini dishes. In a large mixing bowl, beat softened cream cheese and vanilla until fluffy. In smaller microwavable mixing bowl, melt together milk and chocolate until melted and creamy. 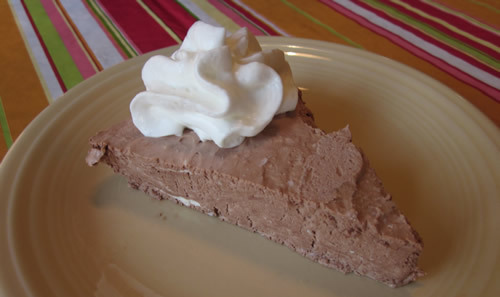 Add chocolate to cream cheese mixture, mix thoroughly. Gently fold in whipped topping. 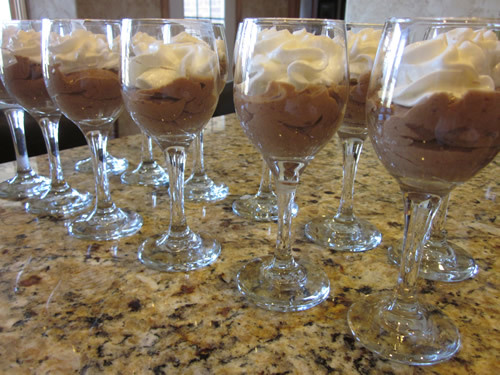 Fill each glass to the top with the chocolate mousse. You can garnish with a dollop of whipped topping, if desired. 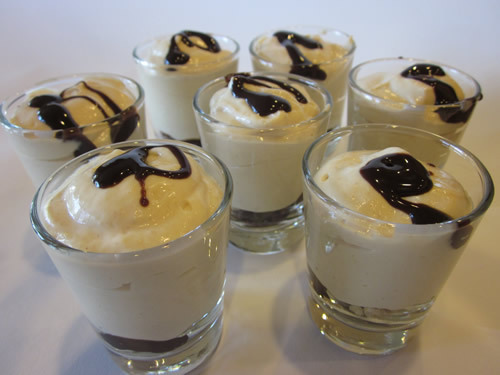 This is a creamy, rich dessert that is perfect for serving in mini dishes. The next time I make it, I'm going to layer it differently. I will put half of the peanut butter mixture on the bottom, then put the crunchy layer, and top it with the rest of the peanut butter layer. Fill each glass with one teaspoon of crushed chocolate Teddy Grahams. 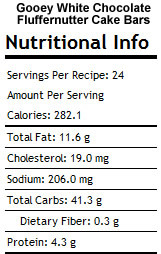 Add 6 chocolate chips and ½ t chopped peanuts on top of the cookie crumbs. Drizzle with the chocolate syrup. In a bowl, combine cream cheese and peanut butter until smooth. Add powdered sugar, milk and vanilla, mix together until well-blended. Gently fold in whipped topping or whipped cream. Carefully spoon mixture into glasses. Add another drizzle of chocolate syrup. Refrigerate a couple of hours until set. 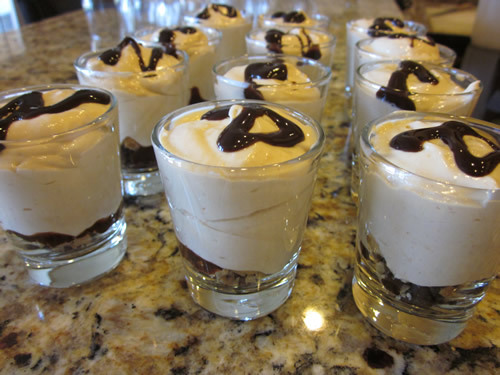 Makes 12 shot glass size parfaits.